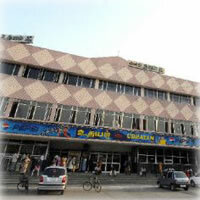 The Tamil Nadu government has permitted the theatres in the state to screen five shows a day for this Deepavali. This was disclosed in a press release by the Tamil Nadu Theatre Owners’ Association. The Association’s President Rama Annamalai said that the government permitted for the fifth show based on the request made by the association. All the theatres, including the part time theatres and mobile theatres are allowed to screen five shows from October 17th to 23rd. While on the 17th and 18th, the mobile theatres can screen morning shows, from 19th to 23rd matinee shows are allowed. Enjoy this Deepavali festival with the additional shows!